This is an adjustable necklace which slips over your head and then tightens all the way down to 16 inches, if that's your style! 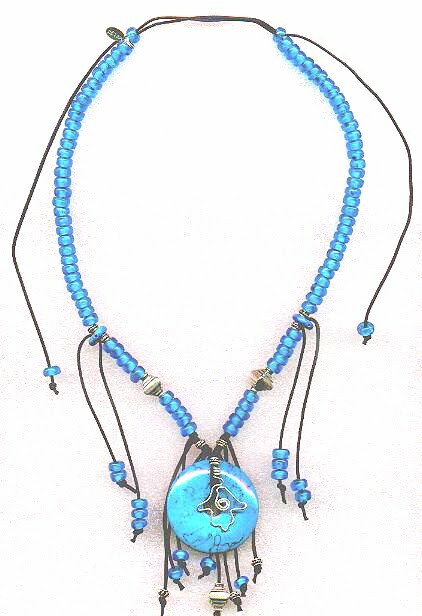 The turquoise stone donut pendant is complimented by the glass beads, sterling silver wire and beads, and black cording. Hit the button above, or leave me a comment if you are interested.